McCullough, David. 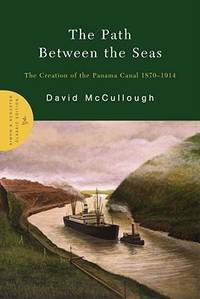 The Path Between the Seas: The Creation of the Panama Canal 1870-1914. From The Path Between the Seas to The Path Between the Seas, from	The Panama Canal, the Third Locks Project to The Panama Canal, the Third Locks Project, Mechanical-Electrical Design Standards, Part I, we can help you find the panama books you are looking for. As the world's largest independent marketplace for new, used and rare books, you always get the best in service and value when you buy from Biblio.com, and all of your purchases are backed by our return guarantee.